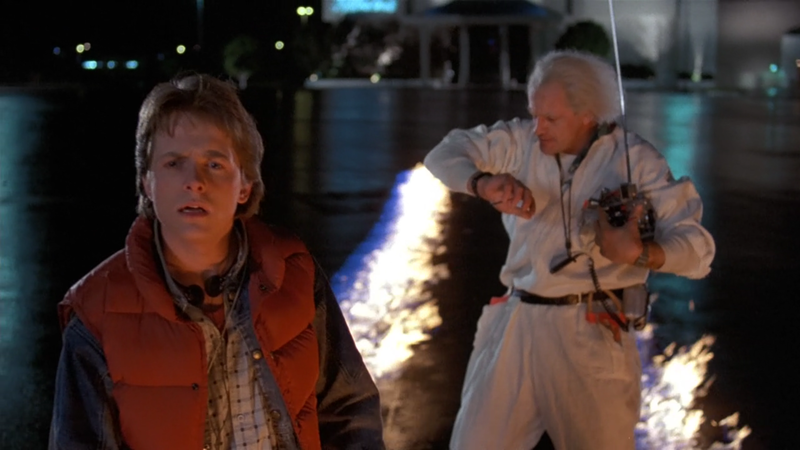 If you haven’t heard by now 2015 marks the 30th anniversary since the initial release of the first Back to the Future film. And to make it even better, next week on October 21st will be the iconic day that Marty travels to in Back to the Future II. So i thought that there is no better time to revisit this incredible classic film that goes down as one of the best films in history, and also cover why this film happens to be my 4th favourite film of all time and the best time-travel film to ever exist. Way back in 1985 when this film released it was an instant hit, everyone was loving the film and it managed to hold number one spot at the box office for 11 of its first 12 weeks, something that is unheard of today. And this love for the film has stood the test of time and you have people/children today, who have never heard of or seen Back to the Future but instantly fall in love with it upon viewing it and it stays with them for the rest of their lives. When i first watched this movie it blew my mind because of just how incredibly fantastic it was, it had absolutely everything that makes an incredible film. As a kid, when i saw this film, it had an effect on me that not many other films have ever been able to do or even come close. It was one of those movies that captured my imagination and took it to new levels introducing me to all this crazy science and time travel and all of these awesome things that were so farfetched at that age and still are. It was a film that i could watch, on repeat over and over and over again and it never ever lost that spark that made it so fun and enjoyable. And i can still watch this film over and over again today and it brings back those memories of being a kid again, everything from just seeing the DeLorean to hearing Alan Silvestri’s score gives me instant goosebumps. The amount of thought and attention to detail that was put into this film by Robert Zemeckis is truly unbelievable. The time travel in this film makes the most sense out of any time travel film to this day in terms of avoiding plot holes and managing to not confuse the hell out of people. And that only adds to the sense of realism when you see something like this, it always made me wonder whether this was actually possible because of how well thought out it was and just how it all made perfect sense. And the fact that still no other film to this day has managed to do that shows how far ahead of its time this film was. And as i mentioned, the attention to detail in this film in amazing. Zemeckis managed to sneak in an infinite amount of subtle and almost non-relevant small little details that most likely no-one was going to ever notice or take note of. And even when i just watched the film now i no joke, noticed so many more intricate little details and secrets that connect the past and the present that it still amazes me. Whether it be newspaper articles that explain events between the two times, or something so subtle as the renaming of ‘Twin Pines Mall’ to ‘Lone Pine Mall’ after Marty knocks down a pine tree in the past, or even something incredibly meaningless like portraits that are on display in the past and are still on display in the future, every single little frame and set of this film was carefully planned with the most detail i have ever seen. 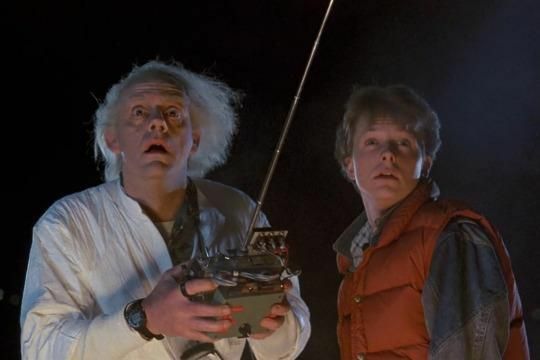 Lets now look at the characters in this film, the Doc, the scientist who was quirky, funny, and made science and inventions so damn cool, and most importantly Marty McFly, the high school kid who was incredibly brave and cool and anyone who saw this film wanted to be Marty McFly. He became an icon in film, and was such a strongly written and loveable character that every kid looked up to this guy and wanted to be like him. He was so funny and energetic and was just an awesome character, and even though a lot of that credit goes back to the writing, it was Michael J Fox that really brought that role to life. 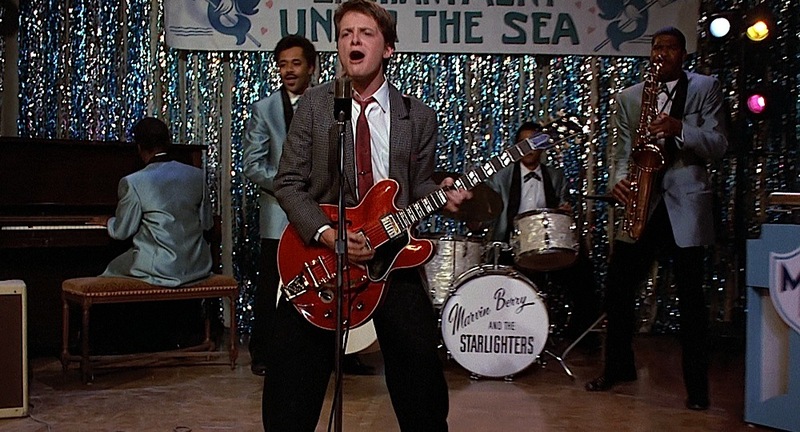 He was so incredibly convincing at playing this character and displaying every emotion with perfection that now when people see Michael J Fox, the first thing they think of probably even more than his real name is Marty McFly. He was such an interesting character, he was funny, brave and smart when he needed to be and brought so much enjoyment to the film. Similarly with Christopher Lloyd as Doc Brown whose fast paced dialogue and movements and over exaggerated actions made him one of the more iconic characters in film. And he gave us some of the most awesome quotes that never get old. Speaking of the quotes, the dialogue in this film never gets to the point where it was ever too cheesy. It definitely has moments where it does get a little silly but it all works with the tone of the film. This movie was an amazing adventure film, a really fun and enjoyable sci-fi fantasy, and incorporated some really funny comedy that works very very well for both kids and adults. There were plenty of moments of humour that are suitable for kids and also plenty of bits of humour more directed at adults and that allows people to as they grow up with the film constantly find things hilarious that they maybe didn’t understand as a kid. The humour works really well to keep the film very light hearted and fun and it is consistently woven throughout the film so it constantly has you with a massive smile on your face. I will touch on the score and soundtrack a little because without giving it too much thought right now it may be my favourite film score and soundtrack of all time because of how iconic it is. Not only do you have Alan Silvestri’s amazing score that captures the tone of the film very well and gave us one of the most iconic themes in history but you also have an awesome soundtrack. Songs like ‘The Power of Love’ and ‘Back in Time’ by Huey Lewis and the News, ‘Johnny B. Goode’ by Chuck Berry, and many more become a part of the film and are equally as iconic as the film. 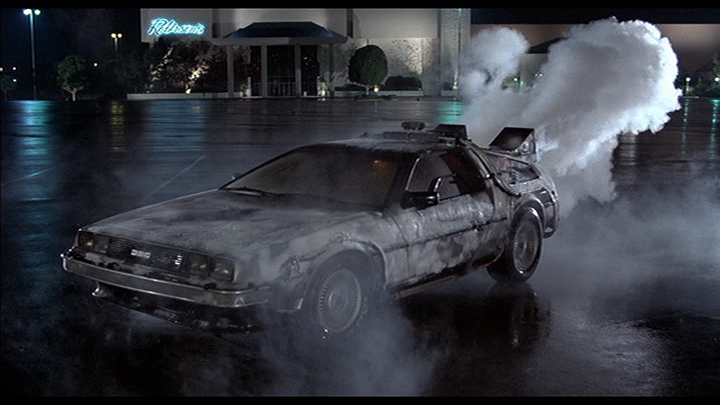 Really, i can go on forever about this film but i’ll leave it with this, Back to the Future is one example of very few select films that i can consider ‘perfect’ films. It has everything that makes a film perfect, the writing is amazing, the directing was incredible, score was iconic, performances were outstanding, it was a great sci-fi fantasy, adventure, and comedy and had incredible attention to detail. When a film can do everything right as this film did, it deserves to be labelled as one of the best films of all time, and that is why it appears at number 4 on my all time favourite films.